This page shows some uses of Pymunk. If you also have done something using Pymunk please let me know and I can add it here! A game of fun, shooting, and “I’m sorry to put you through this”. A fabricator robot on Mars was supposed to make a bunch of robots! But it got lazy and made robots that could make other robots. And it made them smarter than they should have been. Now they’ve all gone off and hidden away behind various tanks and computers. Happily, he knew how to construct you, a simple fighting robot. It’s your job to clean out each area! 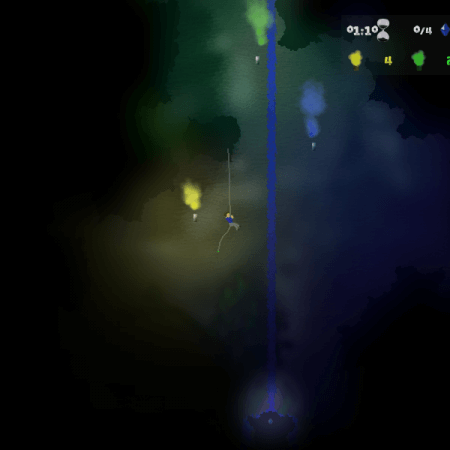 Beneath the Ice is a submarine exploration game and puzzle solving adventure! Uncover a mysterious pariah who can’t let you discover his secrets, who can’t let you in! Team Chimera take 3! 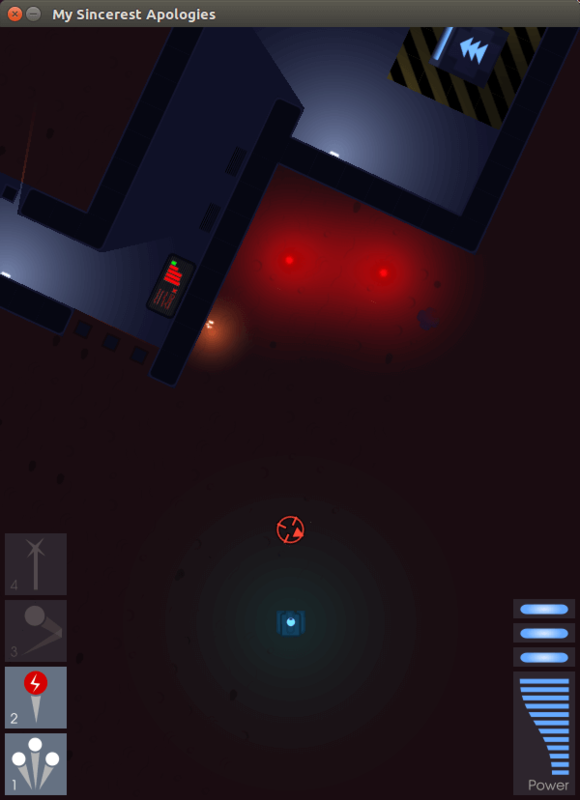 A pachinko-like puzzle game. 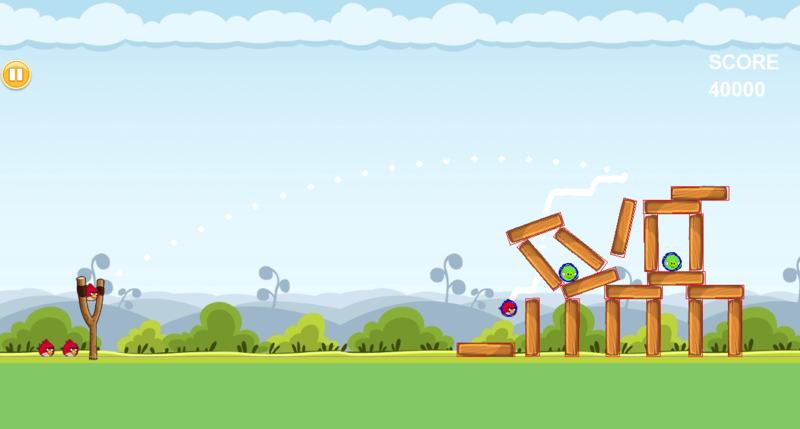 Play some balls and watch their movement carefully (i.e. collect data) to reconstruct the board! 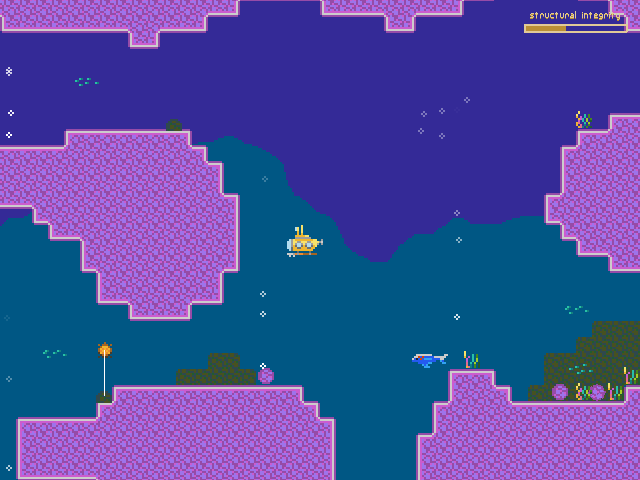 Arcade is an easy-to-learn Python library for creating 2D video games. 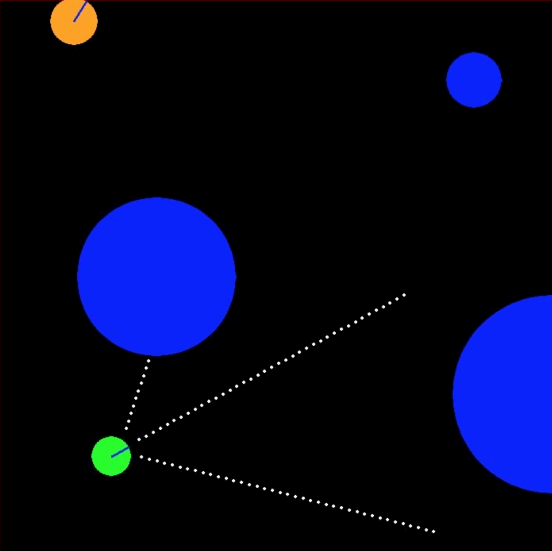 It is not directly tied to Pymunk, but includes a number of examples and helper classes to use Pymunk physics from a Arcade application. Alex built billiARds for his 15-112 (Fundamentals of Programming and Computer Science) term project at Carnegie Mellon University. Made in Python3 using OpenCV, Pygame, and Pymunk. 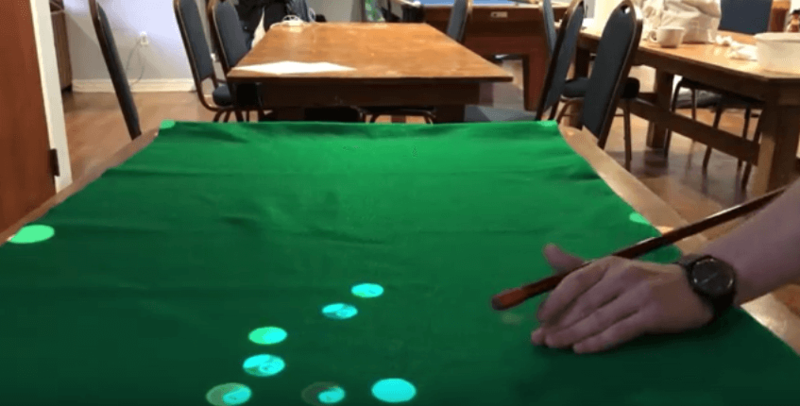 Users can simply use a pool cue stick and run the program on any ordinary surface. 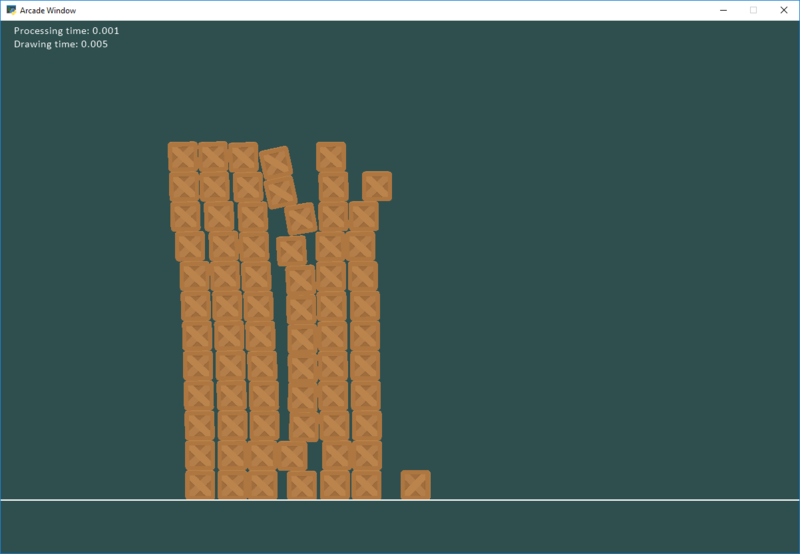 pyPhysicsSandbox is a simple wrapper around Pymunk that makes it easy to write code to explore 2D physics simulations. It’s intended for use in introductory programming classrooms. 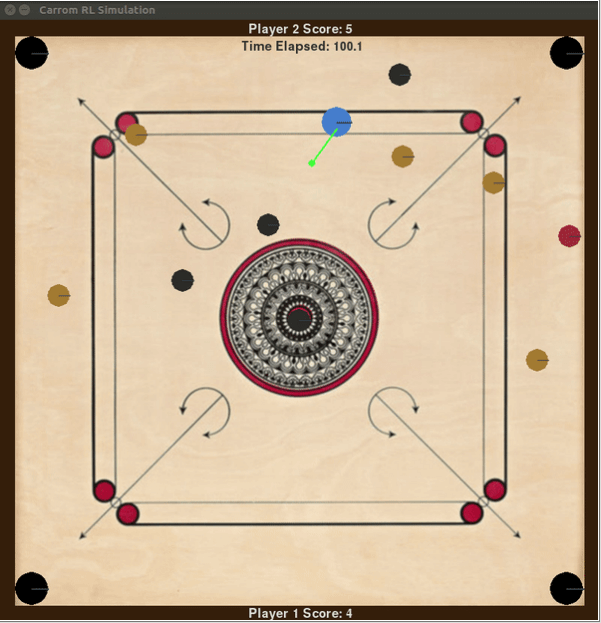 An open source Carrom Simulator interface for testing intelligent/learning agents. 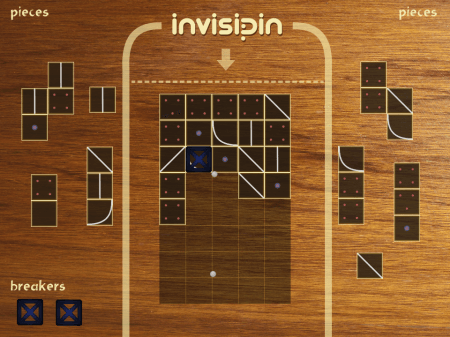 It provides an interface that allows you to design agents that that play carrom. 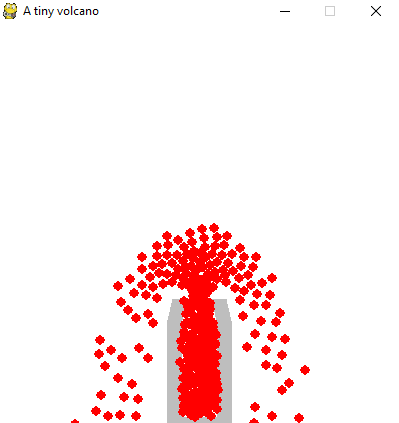 It is built in python, using pygame + pymunk. This is the course project for CS 747 - Foundations of Intelligent and Learning Agents, taught by Prof. Shivaram Kalyanakrishnan at IIT Bombay. A project that trains a virtual car to how to move an object around a screen (drive itself) without running into obstacles using a type of reinforcement learning called Q-Learning. Caselles-Dupré, Hugo, Louis Annabi, Oksana Hagen, Michael Garcia-Ortiz, and David Filliat. “Flatland: a Lightweight First-Person 2-D Environment for Reinforcement Learning.” arXiv preprint arXiv:1809.00510 (2018). Yingzhen, Li, and Stephan Mandt. “Disentangled Sequential Autoencoder.” In International Conference on Machine Learning, pp. 5656-5665. 2018. Melnik, Andrew. “Sensorimotor Processing in the Human Brain and in Cognitive Architectures.” (2018). Li, Yingzhen, and Stephan Mandt. “A Deep Generative Model for Disentangled Representations of Sequential Data.” arXiv preprint arXiv:1803.02991 (2018). Fraccaro, Marco, Simon Kamronn, Ulrich Paquet, and Ole Winther. “A Disentangled Recognition and Nonlinear Dynamics Model for Unsupervised Learning.” arXiv preprint arXiv:1710.05741 (2017). Kister, Ulrike, Konstantin Klamka, Christian Tominski, and Raimund Dachselt. “GraSp: Combining Spatially‐aware Mobile Devices and a Display Wall for Graph Visualization and Interaction.” In Computer Graphics Forum, vol. 36, no. 3, pp. 503-514. 2017. Kim, Neil H., Gloria Lee, Nicholas A. Sherer, K. Michael Martini, Nigel Goldenfeld, and Thomas E. Kuhlman. “Real-time transposable element activity in individual live cells.” Proceedings of the National Academy of Sciences 113, no. 26 (2016): 7278-7283. Baheti, Ashutosh, and Arobinda Gupta. “Non-linear barrier coverage using mobile wireless sensors.” In Computers and Communications (ISCC), 2017 IEEE Symposium on, pp. 804-809. IEEE, 2017. Espeso, David R., Esteban Martínez-García, Victor De Lorenzo, and Ángel Goñi-Moreno. “Physical forces shape group identity of swimming Pseudomonas putida cells.” Frontiers in Microbiology 7 (2016). Goni-Moreno, Angel, and Martyn Amos. “DiSCUS: A Simulation Platform for Conjugation Computing.” In International Conference on Unconventional Computation and Natural Computation, pp. 181-191. Springer International Publishing, 2015. Amos, Martyn, et al. “Bacterial computing with engineered populations.” Phil. Trans. R. Soc. A 373.2046 (2015): 20140218. Crane, Beth, and Stephen Sherratt. 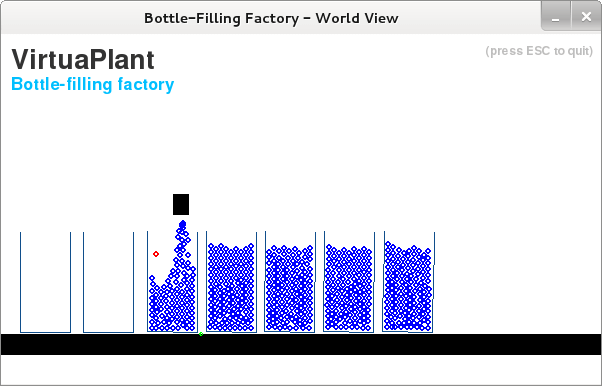 “rUNSWift 2D Simulator; Behavioural Simulation Integrated with the rUNSWift Architecture.” UNSW School of Computer Science and Engineering (2013). Miller, Chreston Allen. “Structural model discovery in temporal event data streams.” Diss. Virginia Polytechnic Institute and State University, 2013. Pumar García, César. “Simulación de evolución dirigida de bacteriófagos en poblaciones de bacterias en 2D.” (2013). Simoes, Manuel, and Caroline GL Cao. “Leonardo: a first step towards an interactive decision aid for port-placement in robotic surgery.” Systems, Man, and Cybernetics (SMC), 2013 IEEE International Conference on. IEEE, 2013. Goni-Moreno, Angel, and Martyn Amos. “Discrete modelling of bacterial conjugation dynamics.” arXiv preprint arXiv:1211.1146 (2012). Matthews, Elizabeth A. “ATLAS CHRONICLE: A STORY-DRIVEN SYSTEM TO CREATE STORY-DRIVEN MAPS.” Diss. Clemson University, 2012. Matthews, Elizabeth, and Brian Malloy. “Procedural generation of story-driven maps.” Computer Games (CGAMES), 2011 16th International Conference on. IEEE, 2011. Miller, Chreston, and Francis Quek. “Toward multimodal situated analysis.” Proceedings of the 13th international conference on multimodal interfaces. ACM, 2011. Verdie, Yannick. “Surface gesture & object tracking on tabletop devices.” Diss. Virginia Polytechnic Institute and State University, 2010. List last updated 2018-09-09. If something is missing or wrong, please contact me!